McKinsey consultants calculate the probability that specific strategies will achieve big success. Most executives have read plenty of business books, seeking insights on how to achieve breakthrough success. Typically, these volumes contain designed-to-inspire case studies, best practices, and anecdotes. A remarkable new book by three McKinsey consultants, “Strategy Beyond the Hockey Stick” (Wiley, 2018), is very different. It relies on deep and broad empirical research on 2,393 large, non-financial companies that were in business throughout a 14-year period, 2001 through 2014. The social side of strategy is the chief culprit hindering companies from making the big moves that will enable them to achieve their vision, the authors say. The social side has many elements. For one, executives are as prone as anyone else to classic cognitive biases like the halo effect, anchoring, and loss aversion. They’re also reluctant to deny resources to loyal colleagues or friends. Overall, they tend to allocate resources with a “spread-the-peanut-butter” approach to avoid alienating anyone, including leaders of business units that may actually merit reduced resources. Importantly, executives’ chief goal when introducing multi-year business plans is not, typically, identifying the true path to successful execution of the plan, according to the authors. Rather, it’s winning a robust first-year budget for the initiative, which actually counts far more toward executives’ reputation and remuneration than does the plan’s ultimate success or failure. “Most managers will try to secure resources for the coming year while deferring accountability for the returns on these investments as far as possible into the future — maybe even long enough that people will have forgotten about the original commitments, or that they themselves will have moved on to the next position,” the authors write. 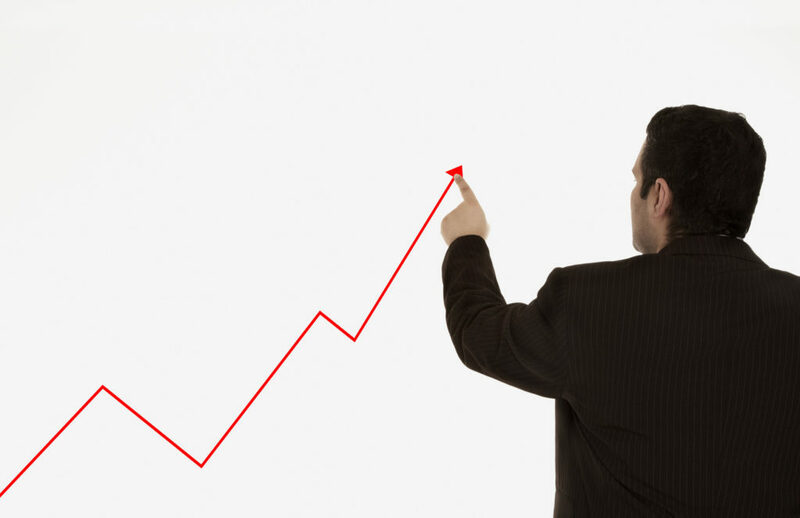 One outcome of that dynamic is the “hockey stick,” a diagram of a new business plan’s future results that shows skyrocketing success after an initial dip in performance. While some hockey sticks do reach full fruition, the vast majority don’t. Still, they’re ubiquitous in business. “Truly, if there ever was one, the hockey stick is the icon of the strategy process,” the authors of the informative and entertaining book disapprovingly state. That’s what provided the impetus for the McKinsey consultants to tap their firm’s extensive database on companies for their deep research. They sought to develop a tool to show why companies must bring to bear an “outside view” — comparing the results of their strategies with those of the universe of companies — in order to position themselves for making big moves. To quantify the effectiveness of business strategies, the authors first had to choose a measurement yardstick. They picked “economic profit,” defined as net operating profit after subtracting the costs of capital. “We like economic profit because it captures the two things that are important about strategy: a company’s spread — the gap between cost of capital and return on invested capital — and its scalability,” Bradley says. From 2010 through 2014, the average company in the data set reported $920 million in annual operating profit, which it earned by investing $9.3 billion of capital. Investors and lenders required a return of 8.0% for use of their funds, as measured by weighted average cost of capital. That left $180 million in economic profit. The authors divided the 2,393 companies in the data set into five quintiles based on volume of economic profit. Plotting them on a graph yielded what the book calls a “Power Curve,” with the tails rising and falling at exponential rates and a long flatline stretching across the middle three quintiles. Back-testing the strategies the companies used across a 14-year period against changes in their economic profit levels shined a bright light on what companies must do to dramatically improve their performance. From that point of view, the vast majority of profits are at one end of the curve and improve exponentially as a company gets closer to that end. So, good strategy shouldn’t focus narrowly on last year or on next year or on competitors. The goal of strategy, the authors say, needs to be to move to the right on the Power Curve. To a large extent, the authors found, strategies pursued by companies in the vast middle ground of the curve essentially did nothing more than allow them to keep pace with their competitors or eke out small, incremental gains. The proportion of companies that were able to leap into the first quintile from outside of it during any 10-year period consistently hovered around 8%. It’s important to remember, the authors caution, that the probability that a strategy will achieve a certain outcome is just that: a probability, not a guarantee. If four companies pursue a strategy that has a 75% chance of achieving its goals, statistically one of them will fail. That doesn’t mean the strategy was bad, and the company should not be deterred from making that kind of strong bet again. Of course, in the real world, a big strategic bet that sputters and fails may cost some executives their jobs. But companies might be less reactionary in that scenario if they understand the dynamics of the Power Curve. The authors say the research-based model they created turned out to be 86% accurate in predicting whether a company would wind up in the top, middle, or bottom of the Power Curve at the end of a 10-year period. Endowment, which accounts for 30% of the probability that a company will move to any particular location on the Power Curve, is “what you start with” at the outset of a strategic plan. The key variables here were found to be the company’s size, debt level, and past investment in R&D. Trends (25% influence on the odds) include the trend of the company’s industry on the Power Curve (the single most important among the 10 attributes) and its geographic trend (the key there is to do business in countries that are among the top 40% for nominal GDP growth). “Moves” is where the real action is, accounting for 45% of the Power Curve odds. The authors found the following five particularly big moves that, pursued persistently, can get companies where they want to go. Strength of productivity program: Every company is trying to reduce costs and improve labor productivity. The authors’ research found that the bar for making a big move is an improvement rate that’s in the top 30% of a company’s industry. Making one or two of these big moves more than doubles a company’s chances (from 8% to 17%) of rising over a decade from the middle quintiles of economic-profit performance to the top quintile, according to the authors. Making three of the big moves pushes the odds all the way to 47%. Sixty companies in the data set pulled four or five of the levers, and every one of them moved up the Power Curve over a 10-year period. Notably, making a big move is not associated with increased risk. It both increases the odds of moving into the top quintile of the Power Curve and decreases the odds of sliding back on the curve. “Not moving is probably the riskiest strategy of all,” the authors write. 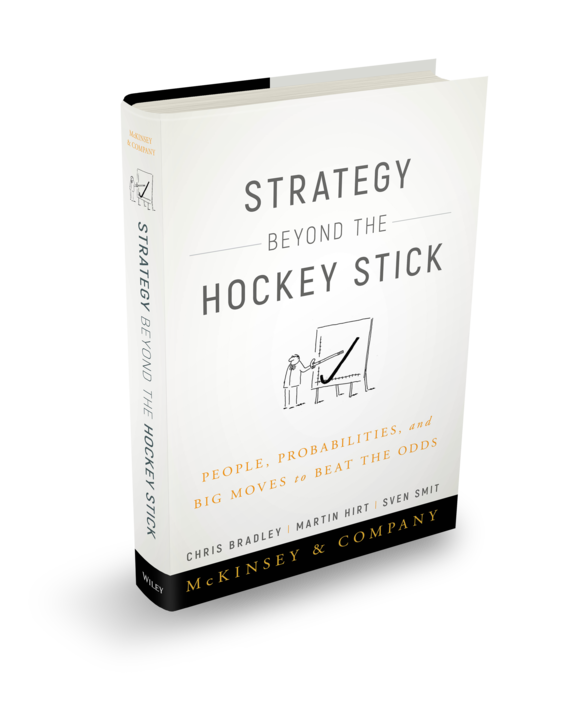 “Strategy Beyond the Hockey Stick” concludes by discussing a series of shifts in approach that companies can make to overcome the social side of strategy and increase their ability to make big moves. Other key shifts include moving from annual planning to “strategy as a journey” and from “you are your numbers” to a holistic perspective on performance, among others. Despite all the advice for success offered in the book, the authors allow that “strategy remains hard work, and good strategy takes a lot of creativity.” Therefore, executing strategies requires determined and resilient leadership. Don't be caught by surprise — learn to view your company through the eyes of an activist investor. A new ranking of corporate speed and agility shows why some brick-and-mortar retailers, especially Macy's, are ailing.